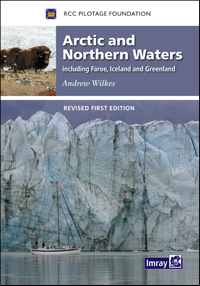 This handbook from the RCC Pilotage Foundation, covers the Northwest and Northeast Passages through the Arctic Ocean as well as Faroe, Iceland and Greenland. Incorporating information collected on a number of voyages over recent years this work is an impressive resource which brings together experience and background data on a region that is not only in the news but increasingly accessible to cruising yachts. Arctic and Northern Waters is in the same style as other PF pilots and is a practical cockpit reference as well as a source of inspiration for planning. This second edition contains revisions and additional information, some of which was previously published in the annual supplement. There are new photographs and harbour plans. Please email me to advise when this publication becomes available.